It was just a normal day at the beach - you know, except for all the bears. 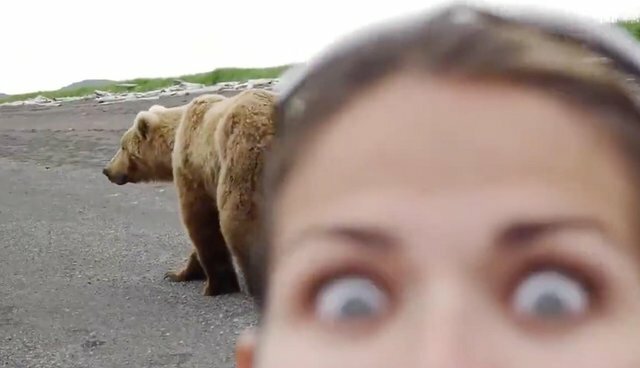 At least that's the takeaway from this remarkable footage taken along the coast in Alaska's Katmai National Park. In it, we see tourists left in shock as a very large mama bear decides to drop by with her two adorable cubs - casually strolling by within mere feet of the group. Now that's a close encounter! It's hard to blame the beachgoers if they were a bit on edge around such a humbling animal, but she and her little ones didn't seem to be bothered by them one bit. Truth is, despite having a reputation of being brutish and unpredictable, bears rarely go out of their way to try to harm humans. Fortunately, the people looking on did all the right things to avoid giving her reason to do anything other than just enjoy the day with her family.